Korzun, V.I. 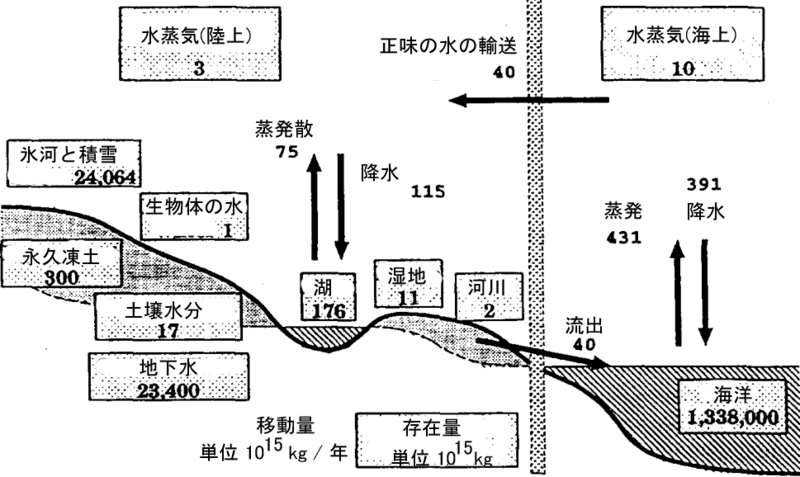 ほか編, 1974(ロシア語), 1978(英語): World Water Balance and Water Resources of the Earth, UNESCO. 沖 大幹, 1995: グローバルな水循環, 水利科学, 39, (225号), 1 - 35. Oki, T., Entekhabi, D. & Harrold, T.I., 2004: The global water cycle. The State of the Planet (Sparks, R.S.J. & Hawkesworth, C.J. eds., American Geophysical Union, Geophysical Monograph 150), 225 - 237.